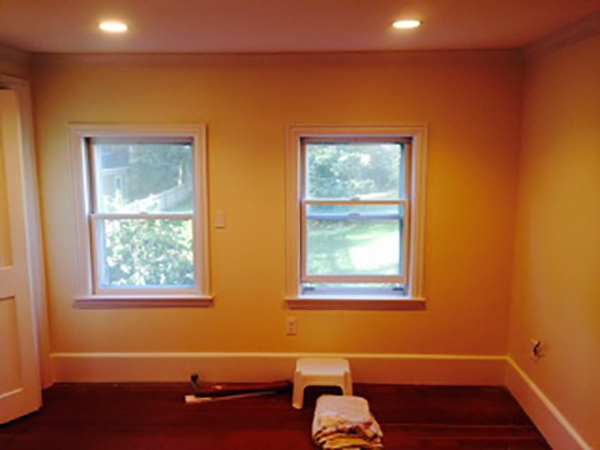 Here is a recent project in Newburyport that we just wrapped up. When a homeowner needs a second bathroom and you live in a half house finding space can be a challenge. So how do you create a new Master bedroom bathroom with limited space. 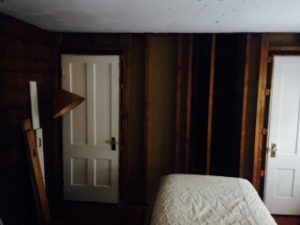 By converting an old sleeping porch to a 3/4 master bathroom it allowed the homeowner to not only add that second bath but to create a new Master Bedroom in the room leading to to the old porch. 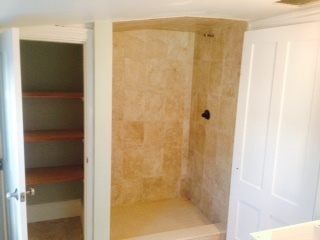 Part of the need is alway storage and new closets in the master bedroom & bathroom make it much more functional. Insulation and drywall make a dramatic statement. 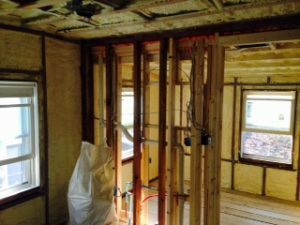 Look at these picture to see the change that a little insulation and drywall and make. 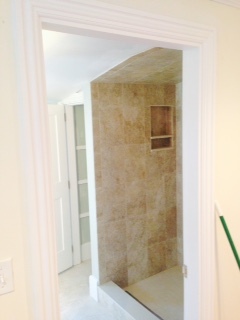 Finish with drywall and custom trim, a little paint and the results are easy to see. 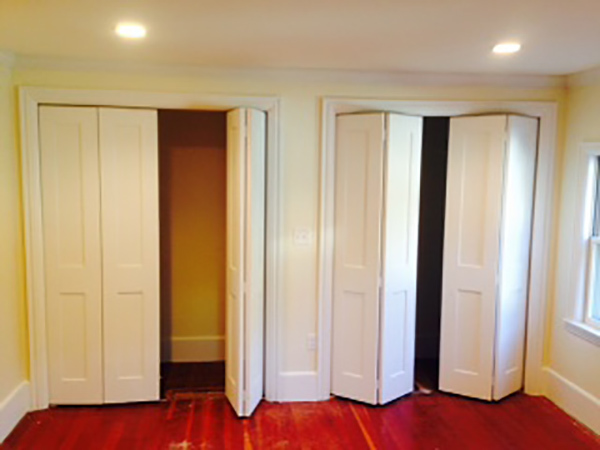 New double door closets Allow much better access. These are ready for the installation of shelving. When the old trim is not something that you can get at the local lumber yards you get custom trim milled to maths the existing like we did for the doors and windows. 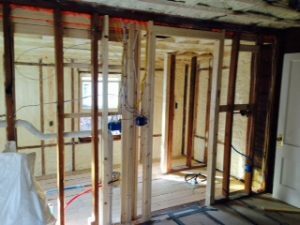 Previous Previous post: Design – Build Process at Star Construction Company,Inc.